Currently at 0.95% APY, Ally Bank Savings Account offers the highest yield among popular online banks. 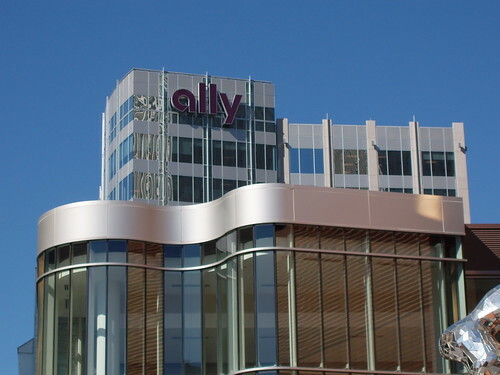 Opening a savings account at Ally Bank is easy, with no minimum balance requirement. Ally Bank does not charge monthly account maintenance fee and it reimburses ATM fees charged by other banks if you use Ally Bank card to withdraw cash from other banks' ATMs. I didn’t write anything about Ally Bank for some time because I haven’t actively used the bank for about two year. But in March this year, I returned to Ally and have stayed since as a happy customer. I left Ally for Sallie Mae in 2010 shortly after Sallie Mae Savings Account was launched because the latter gave me better return for my savings at that time. But I kept my Ally Bank open with only a small amount of money in it. Over the years, I have used quite a few new banks and my experience tells me that when a new savings product was first launched by a bank, it always offered a superior rate than its peers to attract new money. But gradually, the original rate was reduced until it reached the same level as its competitors, or even lower, and most of the time never recovered. The process usually didn’t last long. I remember exactly the same thing happened to ING Direct, Dollar Savings Direct, FNBO Direct, Ally Bank, and Sallie Mae Bank (the last three were named by Kiplinger as the Best Savings Account at different times). I have accounts with all of them, and have gone through the cycles so I know there’s no reason to be “loyal” to a bank and stick with it if the bank only wanted to give me a teaser rate. For me, I stayed with these banks for about a year before looking for another place for my money, either a new bank (it’s hard to find a new bank with good rate these days) or an old bank that I have an account with. However, things are a little different at Ally. Basically, I was lured back to the bank by the rate of its online savings account, the same reason I left the bank two years ago. When I went back to Ally in March, the rate was 0.84% APY, better than what I got from Sallie Mae, which at that time had a rate at 0.75 APY. In a low rate environment, the difference is quite significant. In addition to moving the money I had at Sallie Mae to Ally, I also set up automatic bi-weekly transfter from my checking account to Ally as well. And Ally didn’t stop there. Late last week, I received another email about the rate change, going from 0.89% to 0.95% APY. Looking at my options, I don’t see any other has a rate close to 1% (Well, EverBank does have a 6-month bonus rate of 1.25% APY), so I am happy I made the switch early that allows me to enjoy this new yield. While I like what I get from Ally now, I don’t know how long this good rate will last. One thing I have complained about Ally Bank in the past is that they seem to adjust rates, not just savings account rate, but also CD rates, much more frequently than others do, and sometimes quite widely. Seriously, I don’t understand why they do that because, in my mind, savings account rates should be relatively stable so I know what I get. I didn’t get that kind of stability at Ally. With that being said, however, Ally is still a better choice when looking at what other banks currently offer. Below is the complete list of rates of all Ally Bank products. You can compare them with your own bank or other banks and draw your own conclusion whether you get a better deal from Ally or not. Oh, there’s one more change I would like to see at Ally that has nothing to do with rates. Ally Bank has a mobile app, but it doesn’t do much other than letting me check account balance and make transfers between Ally accounts. To deposit checks remotely using my phone, which I have done a lot lately, I have to use either ING Direct or Sallie Mae, or even Bank of America app first, then make the transfer to Ally. Not very convenient. When Ally Bank updates its smart phone app later this year, I hope e-check deposit and inter-bank transfer will be included, so I can use the app more often. I am using Ally Savings Account as well and happy with their services. Pretty solid bank in my opinion.